PDF encryption removal software provided by PDF consists of two different passwords. Owner password allow preventing PDF file from printing, copying, commenting, editing, annotations and copying content for accessibility; User password lock the file so the password is required to open or view file. 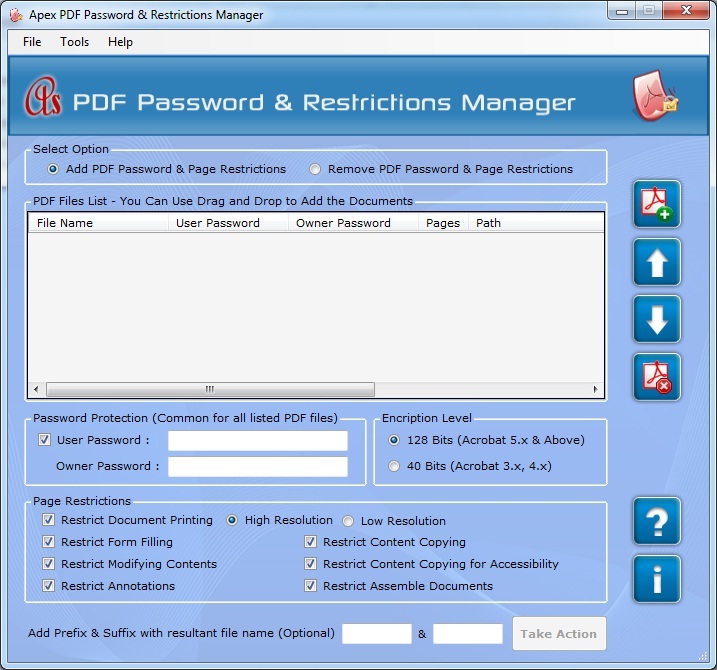 If you want this easiest and cheapest software to go this link PDF Password and Restriction Manager and download software www.pdfpassword-remover.com.